The Membership term is January 1 to December 31, renewable annually. Membership is available to those who give the "Annual Membership Contribution" and declare that they choose to be Members. Members are expected to attend the Annual Meeting of the Corporation, which is held in early May (the beginning of our Fiscal Year), and all Special Meetings of the Corporation. Please see our Bylaws for more details (here on the About Us page). Members guide the direction of this charity with votes at those meetings. Members vote for Directors, and are eligible to become Directors. To contribute monetarily, it is $20.oo. To contribute by volunteering, it is 10 hours. One can contribute in one year for that year AND in that year for the next year. The Board of Directors also established a "Lifetime Membership" option, and set the amount for $250.00. Members will receive Membership Cards. 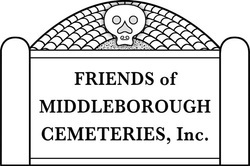 We sponsor the "Honorary Mayor of Middleborough" contest during this time, and we will send you a Membership application in February so that your renewal contribution can be allocated towards the Honorary Mayor and Deputy Mayor candidates of your choice.